A lovely and simple-to-prepare summer dish! 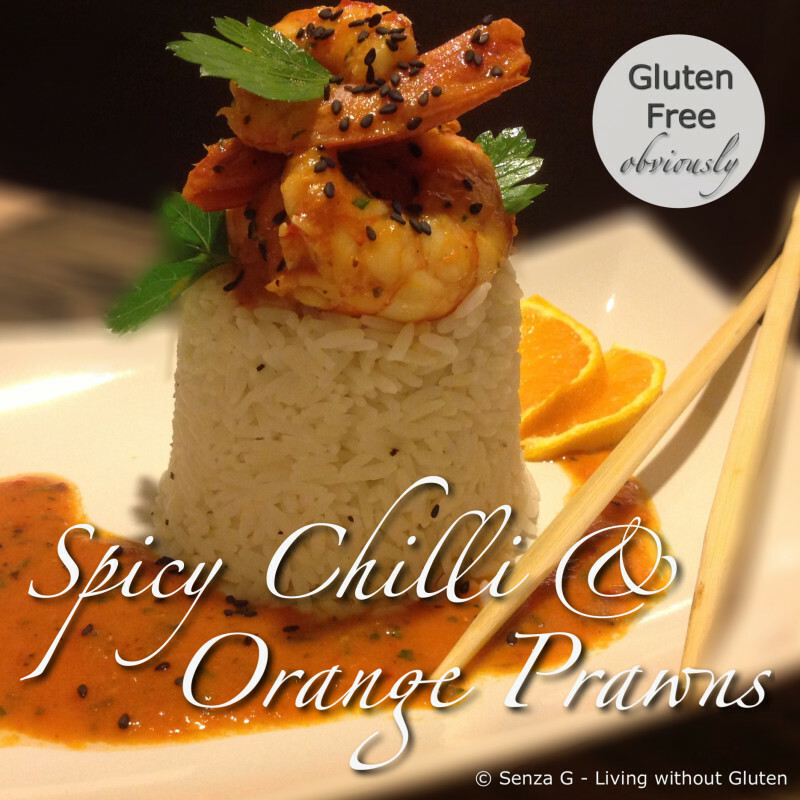 Sauteed fresh prawns with a tangy yet sweet orange sauce. Start by boiling 250g of white rice. Drain and then place the rice, gently pressing it down, in oiled ramekins or pots. Set aside. Sautee the prawns in a little olive oil for a couple minutes on each side or until cooked. Set aside. In the same pan, sautee the garlic and ginger. Do not let the garlic brown. Then add the soy sauce, the rice wine vinegar, honey, sriracha sauce, the orange juice and zest and cook till it is reduced to a sauce like consistency. Add the prawns, sprinkle over the black sesame seeds and freshly chopped parsley or coriander. To serve, turn the ramekin over on a plate, tap gently so the rice mold will come out. Lift the ramekin carefully. Place some chilli prawns on top of the rice mold. Drizzle the sauce around the rice mold and garnish with fresh parsley or coriander leaves and a couple of orange slices.